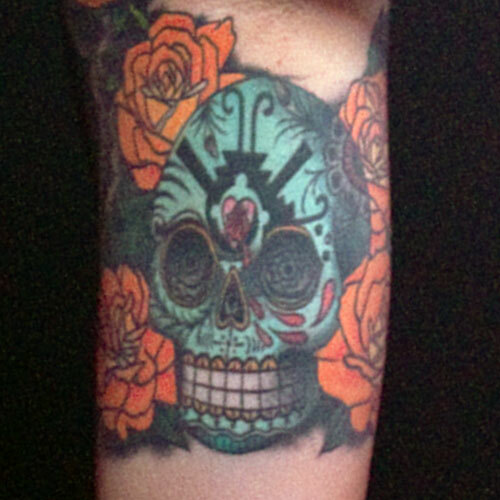 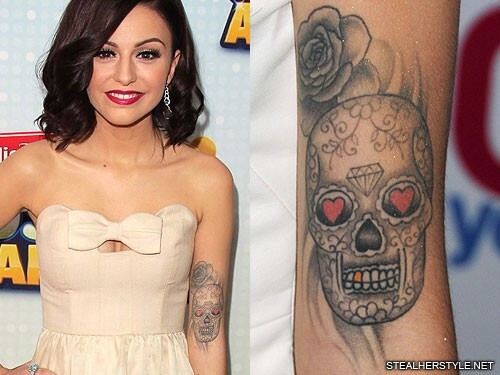 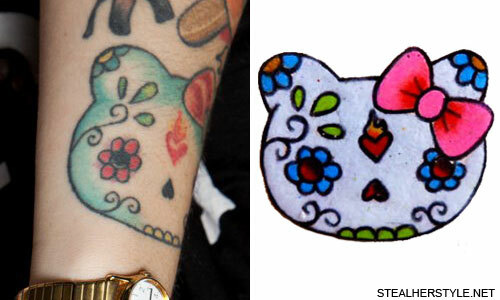 On Kreayshawn’s right wrist is a Día de los Muertos style sugar skull version of Hello Kitty with a sacred heart on it’s forehead and a diamond in the hair bow. 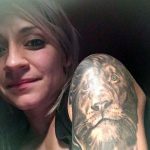 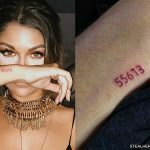 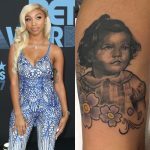 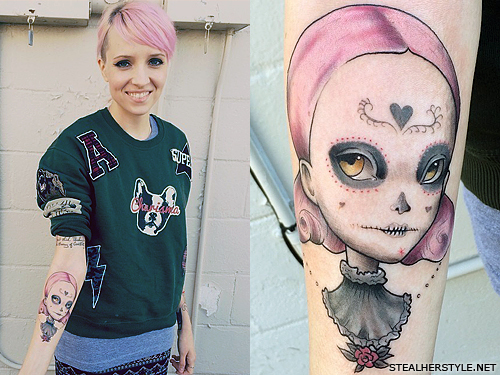 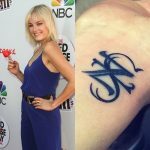 Among Alana Potocnik’s upper left arm tattoos are hibiscus flowers on her shoulder and a sugar skull on the inside of her arm. 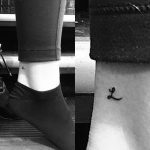 Miley Cyrus and her fiancé Liam Hemsworth have matching tattoos on their ankles of colorful Día de los Muertos sugar skulls.